Conveniently bordering the town limits of Steamboat Springs, yet amazingly private and pristine, Slate Creek Ranch boasts an unparalleled combination of stunning scenery, valuable water rights, intact mineral rights, excellent wildlife habitat, public land adjacency, stream-fed ponds, paved road access and usable improvements. 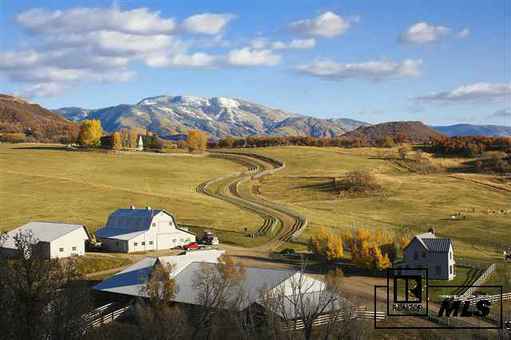 From its protected setting along Slate Creek, the 1, 145+/- acre ranch features excellent views of the Yampa Valley and Steamboat ski slopes. 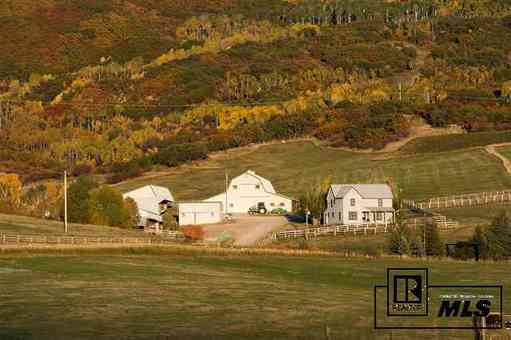 Encompassing a diverse landscape ranging from irrigated meadows and pastures around the ranch headquarters to oaks, aspen groves and pockets of dark timber up the mountain, this well-cared for ranch has become a sanctuary for wildlife. Although incredibly convenient due to its location within 5 minutes of the amenities of Steamboat Springs and the town airport, the ranch is remarkably secluded by virtue of its size and significant boundary with National Forest and BLM lands that are difficult for the public to access. 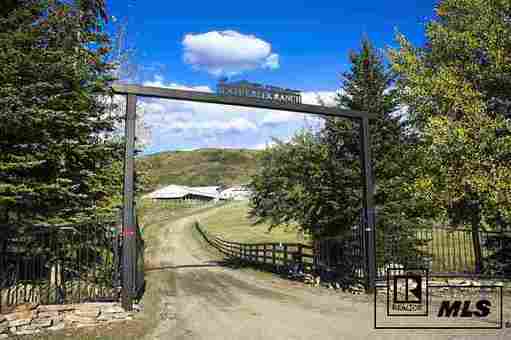 The ranch is aptly improved with a five bedroom main home on a knoll overlooking the ranch and the ski slopes, complimented by a quaint guest house, managerâs home and numerous barns, outbuildings and cattle working facilities. Slate Creek Ranch is an exceptional long term development opportunity property or candidate for conservation easement, offering a turnkey recreational ranch for immediate enjoyment with unlimited future potential.